New interview! Pick up a copy of BeatRoute if you’re in the Vancouver area this month to read a funchat with Daveed Diggs, the star and co-writer of the new urban drama Blindspotting. Diggs, who won a Tony and a Grammy for his work in the Broadway game-changer Hamilton, stars as Collin, an Oakland native who returns emerges from prison to see his city transformed in a state of rapid gentrification. It’s an urgent film, as Collin witnesses a police shooting of an unarmed Black man and navigates the deeply entrenched systems of inequality while trying to find middle ground between justice for his fallen brother and safety for his own life. 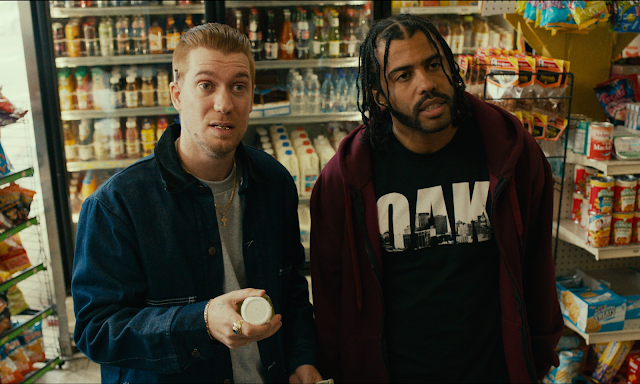 With the beat of the city and the pulse of true poetry, Blindspotting is not to be missed. Blindspotting is now in theatres.